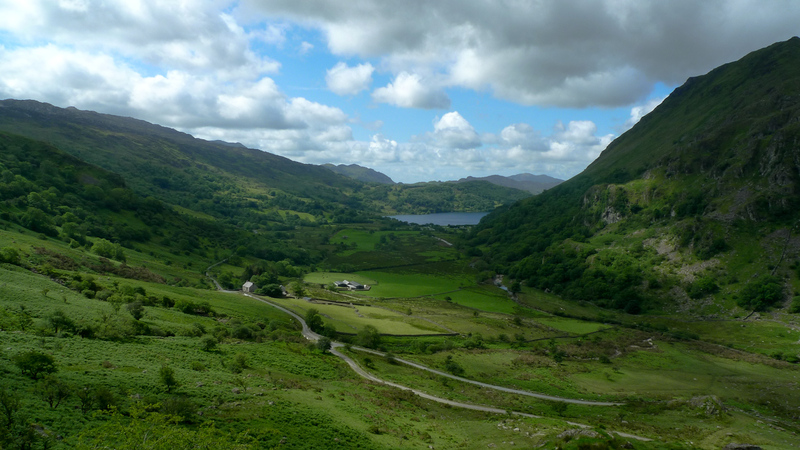 One of what I’m going to call ‘the limited run’ of photographs that was taken over the weekend in Snowdonia. This was on the way back to the ferry, a little diversion that had us stop at a viewpoint that appeared to be quite popular. Snowdon is just to the right of this scene, the peak hidden by the cloud. With the tight timescale we were working with we didn’t get to see a lot of Snowdonia but as I may have mentioned before, I fully intend on going back for a long weekend at least. Its ‘like Wicklow had a baby with the Isle of Skye’ to borrow a phrase used on our trip. The fact that this is only 2 hours away by ferry makes it all the more appealing.